Whenever we hear about military people, we imagine strong and tough young men in uniforms risking their lives for our country. Yes, it is true that military people are tough and care a lot about discipline but most people don’t know that military personnel also care a lot about their ranks. They maintain a strict discipline regarding their ranks and titles whenever they address other military personnel and they expect the same from others. 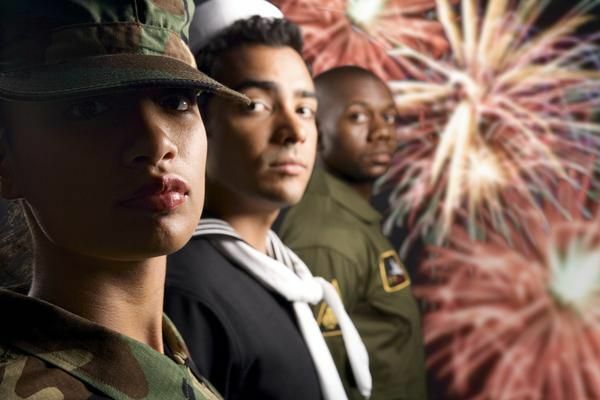 However, for civilians it sometimes becomes difficult to address military personnel correctly because in the civilian society ranks are normally not given much importance while addressing other people. Moreover, in case of wedding invitation it becomes important to address any military personnel properly in order to avoid misunderstanding. A wedding invitation addressed in a proper manner to a military personnel also shows your respect and gratitude for their services and so, you always have to be extra careful while sending out wedding invitation to any military personnel. The outer envelope of the invitation card should be addressed with their ranks, full names as well as their titles. Never use abbreviation for any military ranks because in military language, abbreviated military ranks are considered as a disregard to their ranks. For example, if the person’s last name is Smith and you know his rank as Major then you should address the invitation as ‘Major and Mrs. Smith’ and if his rank is Sergeant then the proper way of addressing is ‘Sergeant First Class and Mrs. Smith.’ A properly addressed wedding invitation can impress many people including the military personnel. However, in case where both the husband and wife are military personnel then you should write both of their ranks properly in the wedding invitations. For example, if the husband and wife share the same military rank of Captain then you can address them as Captains ‘John and Jessica Smith.’ Moreover, in this situation you must address the inner envelope by writing, The Captains Smith. On the other hand, if both the husband and wife are in the military and have different ranks then it is necessary to put both of their ranks in the envelope of the wedding invitation card. For example, if the husband is ranked as a Specialist while his wife is ranked as Staff Sergeant then the proper way to address them is by writing ‘Specialist John Smith and Staff Sergeant Jessica Smith.’ You should also address the inner envelope in the same way but do not forget to skip their first names. Moreover, before sending out the wedding invitations to the military personnel make sure the ranks you have used to address them is totally correct so that you don’t end up getting embarrassed. Does custom wedding invitations make any difference? Where can I find lined wedding envelopes? Bouquet toss song, Any suggestions?